Baran Studio has transformed an ordinary lobby into a eye-catching entryway for their client, who requested something more dynamic for people to see as they arrived at their location. 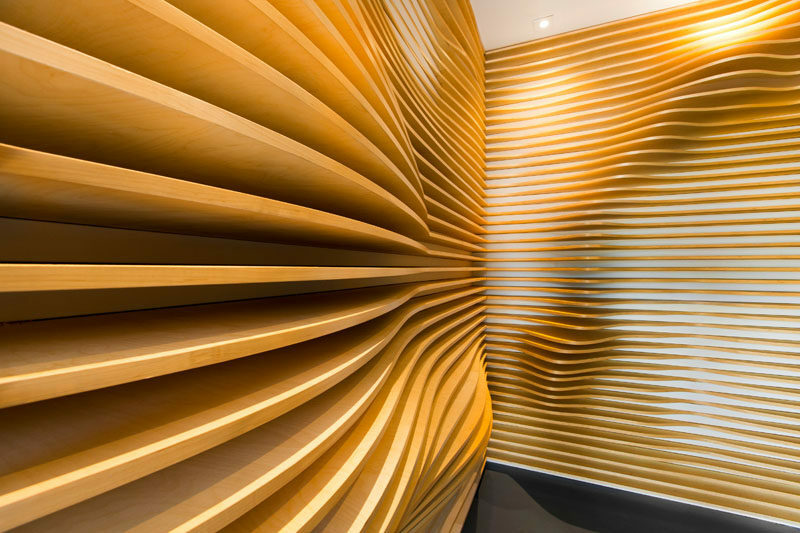 The sculptural wood wall flows from the outside through to the interior, connecting the two spaces and drawing the visitors eye to the building’s door. As the project had a tight budget, the designers used plywood, which is inexpensive, readily available, and easy to manipulate from a static, rectilinear form into a dynamic, undulating one. 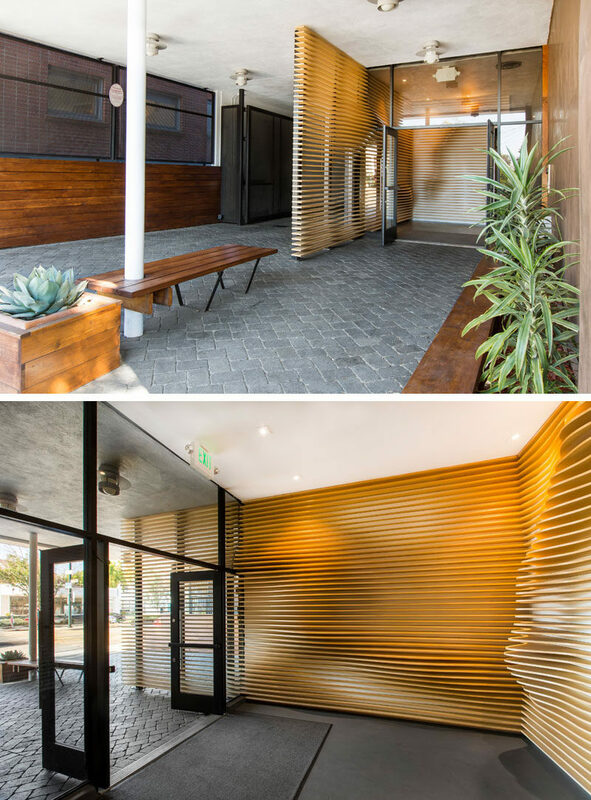 The sculptural wood form was created by CNC cutting the plywood sheets into the desired shapes, finishing them, and then mounting them to a steel structural frame, that was then installed into the lobby.